musician, composer, producer, engineer and workshop facilitator. Domenic is an acclaimed multi-instrumentalist, vocalist and composer who has, as a musician/producer traveled the world sharing his music as a solo artist and as co-founder/lead vocalist of the innovative world music group Praying for the Rain. He is a deeply soulful and compelling musician and storyteller who brings a rich, uncluttered quality to his music that fills his songs with evocative imagery and lyrical narrative. Originally from Canada, he is a son of Italian immigrants and now makes his home in Somerset, UK. Through his experiences of performing and traveling, he has learned to play a variety of eclectic instruments such as Native American flutes & hand drums, African drums & percussion, middle eastern Darabouka and Ghatam, Cretan Laouto & Outi, the Madura (reeded flute) to name a few. The energy of sharing with other people & cultures has made it’s way into many aspects of his singing, writing and music and through the language of music and his study of sound, he has come to a broader understanding of the world around him. He has just completed his new album and project entitled Seeds of Evergreen. Chris Hurn - cello, Tom Pepler - drums, Paul Sax - violin, Delagh King - vocals, Richard Kennedy - vocals, Mal Darwen - bass, Vince DeCicco - accordion and Robin Rhind - Hammond organ, across 15 Tracks in total, including two beautiful bonus instrumentals at the end of album." "The latest album is a beautiful mix of soothing vocals, meaningful lyrics and peaceful guitar work. DeCicco’s voice is exceptional. 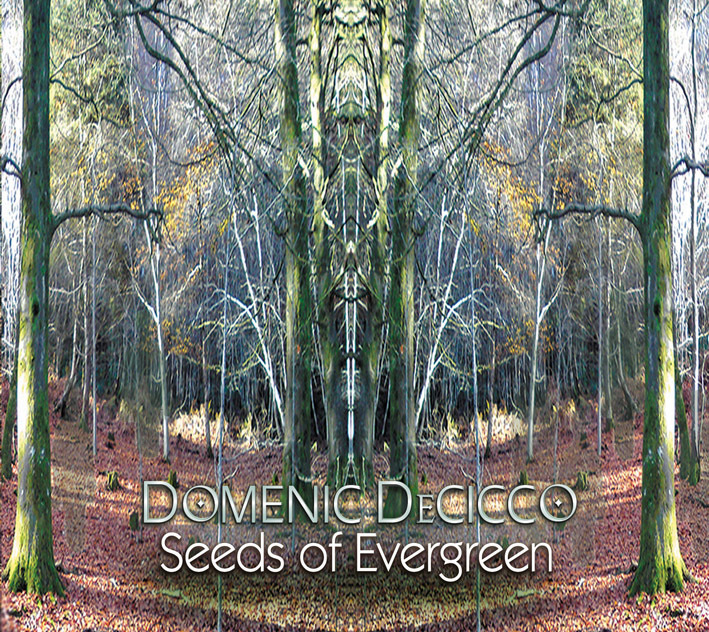 Over all, Seeds of Evergreen is a great listen, and DeCicco’s reputation will have been done no harm by this marvellous release." "packed full of well-crafted songs and beautifully played throughout, so if the idea of an easygoing, rootsy album perfect for a Sunday morning appeals, you won’t do much better than Seeds of Evergreen".
."Overtures of acoustic folk mix effortlessly with softly expressive jazz, dig deeper and touches of country, as is a miasma of roots influences from across the globe. Inventive, pluralistic, expressive and diverse..This is an album that could easily become part of your regular playlist." "Moody and reflective... draws you in and invites you to listen and share his feelings and experiences. Domenic is a talented musician, composer and producer of whom many people will soon begin to take note." "There is a haunting quality to this performance that really draws me into the songs. Domenic’s vocal performances are really compelling emotionally. Lyrical theme and imagery seem especially sincere. Delicate yet intensely powerful. Beautiful songs and passionate sounding performances." 2016 Scared Music from Moutain and Moor tour. Domenic performed with Nigel Shaw (UK) and Hiroki Okano (Japan) on a short tour within the UK. 2015 Seeds of Evergeen - new album and live project. Released a 3rd solo album, which was followed with tour around the Uk. 2012 Sang on a video put together by producer/composer Hiroki Okano...the song - You Are Love is now part of the Arigato Project. Domenic was asked by friend producer/composer Hiroki Okano to sing on a video he was putting together with other performers from around the globe, in relief of the devastation in Japan...this beautiful piece -You Are Love is now part of the Arigato Project. 2010-2012 Radio Presenter on Frome Fm... Co-ordinated and produced this successful monthly radio show Dmix Chill and Groove Hour. 2010 New Praying for the Rain Cd...Civilized World, which he co-wote and produced. The album was launched with a concert at the Union Chapel in London on May 22 and followed by summer festival concerts. During 2008 he had performances in Japan which included, The Earth Day festival, Osaka and Chakra club, Osaka. The single version of Glass Bubble was sent out across the Uk, Europe, Canada and the US. He also performed at St.James's church, London as part of the Bamboo, Cedar, Oak tour with world artists, Hiroki Okano (Japan), Nigel Shaw (UK) and Guillermo Martinez (USA) and at the Stainsby Festival, Derby. In 2007, he released his solo cd, Still Lives and Dreamers, along with singles from the album...I Feel You In Me and It's Christmas Time Again. He performed at various festivals including; Stainsby and Riven Stone and headlined at London's Gloss club in November. 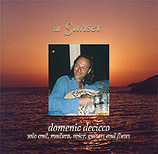 During 2006, Domenic released his first solo Cd entitled, At Sunset (an instrumental Cd of sublime and emotive pieces using the Cretan Laouto, Outi and Madura, along with guitars and flutes)... the summer was filled with solo and band performances in Italy and across the UK, that included the Trowbridge Pump festival, Quest, Hampton Court summer fair, Sterts theatre with Nigel Shaw & Carolyn Hillyer, Cornwall, the Mescolanze Festival, Italy, the Ignite music series at the Albert Hall cafe consort and a live session with BBC presenter Charlie Crocker September 21st, which was heard across the south east on BBC radio Kent, Berkshire, Oxford , Southern Counties and Solent. 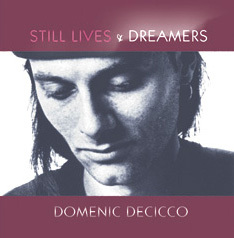 Solo concerts for the year ended with a stunning performance during the Cd launch of Still Lives and Dreamers in October at London's Union Chapel. He spent the month of November in Canada, doing various live and radio performances promoting his Cd with a pre-release Christmas single; It’s Christmas Time Again, which had wonderful success being played on stations across Canada, the United States, Europe and Australia. In December, Domenic was chosen as the best male solo artist for the UK, in the Music Aid International Music Awards. The Cd is being distributed through-out the UK and Europe via Proper Distribution. 2005 - Praying for the Rain performed in Algiers as part of a world music program. Produced and recorded music for the Channel 5/Cicada films production, ‘the Real Witch Project’. 2004 -Worked on the Silk Road Exhibition, (a joint British Library- BBC proms project for 12 to 17 yr olds performed at London’s Shaw theatre) as a musician and workshop facilitator. Guest performer at the Colourscape Music festival-exhibition in Clapham Park, London. 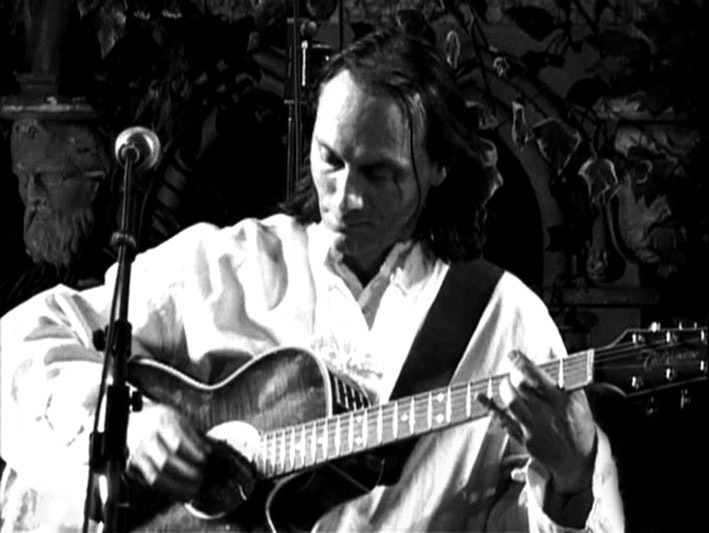 Guest performer at several concerts as part of the Bamboo, Cedar, Oak CD promotional tour with world musicians; Nigel Shaw (UK), Hiroki Okano (Japan) and Guillermo Martinez (US - Native American). Produced and co-wrote the world music Cd, ‘ Serena’ for his band, Praying for the Rain.